LOT Polish Airlines, legally incorporated as Polskie Linie Lotnicze LOT S.A. (Polish pronunciation: [lɔt], flight), is the flag carrier of Poland. Based in Warsaw and established on 29 December 1928, it is one of the world's oldest airlines still in operation. With a fleet of 73 aircraft, LOT Polish Airlines flies to 101 destinations across Europe, Asia and North America. Most of the destinations originate from its hub at Warsaw Chopin Airport. LOT is a member of the Star Alliance. The airline was established on 29 December 1928 by the Polish government as a self-governing limited liability corporation, taking over existing domestic airlines Aerolot (founded in 1922) and Aero (founded in 1925), and started operations on 1 January 1929. In addition to existing services from Warsaw to Kraków, Poznań, Gdańsk and Lwów, there were created services to Bydgoszcz and Katowice, and in 1932 to Wilno. The first aircraft used were Junkers F.13 and Fokker F.VII. Its first international service began on 2 August 1929 to Vienna. It was also at this point in time that LOT's well-renowned logo (designed by a visual artist from Warsaw, Tadeusz Gronowski, and still in use today) was picked as the winning entry of the airline's logo design competition. The LOT was accepted into IATA in 1930. State Treasury had 86% shares in the line, the rest belonged to Province of Silesia and city of Poznań. In 1931 the crane and Gronowski's logo were officially recognised by the company's corporate leadership as the emblem of LOT Polish Airlines, and in the same year the company's first multi-segment international flight along the route Warsaw - Lwów - Czerniowce – Bucharest was launched. In next years there followed services to Berlin, Athens, Helsinki, Budapest, including some waypoints. In 1939 the lines were extended to Beirut, Rome, Copenhagen, reaching 10,250 km of routes. Douglas DC-2, Lockheed Model 10A Electra and Model 14H Super Electra joined the fleet in 1935, 1936 and 1938 respectively (at its peak, LOT had 10 Lockheed 10, 10 Lockheed 14, 3 DC-2 and 1 Ju 52/3mge). Several Polish aircraft designs were tested, but only single-engined PWS-24 airliner was acquired in any number. In 1934, after five years of operating under the LOT name, the airline received new head offices, technical facilities, hangars, workshops and warehouses located at the new, modern Warsaw Okęcie Airport. This constituted a move from the airline's previous base at Pole Mokotowskie as this airport had become impossible to operate safely due to the way in which it had gradually become absorbed into Warsaw's outlying urban and residential areas. In 1938 LOT changed its name, in accordance with the Polish spelling reform of that year from Polskie Linje Lotnicze 'LOT' to Polskie Linie Lotnicze 'LOT'. In the same year a well-publicised transatlantic test flight from Los Angeles via Buenos Aires, Natal, Dakar to Warsaw, aimed at judging the feasibility of introducing passenger service on the Poland-United States route, was carried out by LOT pilots and crew. There were plans to open services among others to London and Moscow and even transatlantic service in 1940. The airline had carried 218,000 passengers before the war. In 1939 there were 697 employees, including 25 pilots. Services were suspended after an outbreak of the Second World War on 1 September 1939 and during following German occupation; most of LOT's aircraft were evacuated to Romania, two to Baltic states, and three L-14H to Great Britain. Thirteen airliners, that got to Romania, were next seized by Romanian government. After a liberation of Poland, from August 1944 until December 1945 the Polish Air Force maintained basic transport in the country; from March 1945 there were regular routes maintained by Civil Aviation Department of the Air Force. On 10 March 1945 the Polish government recreated the LOT airline, as a state-owned enterprise (Przedsiębiorstwo Państwowe Polskie Linie Lotnicze 'LOT'). In 1946, seven years after the service was suspended, the airline restarted its operations after receiving ten Soviet-built ex-Air Force Lisunov Li-2Ts, then further passenger Li-2Ps and nine Douglas C-47s. Both domestic and international services restarted that year, first to Berlin, Paris, Stockholm and Prague. In 1947 there were added routes to Bucharest, Budapest, Belgrad and Copenhagen. Five modern, although troublesome SE.161 Languedoc joined the fleet for a short period in 1947–1948, followed by five Ilyushin Il-12B in 1949; 13-20 Ilyushin Il-14s then followed in 1955–1957. After the end of Stalinism in Poland, few Western aircraft would be acquired; five Convair 240s in 1957 and three Vickers Viscounts in 1962 proved to be the last until the 1990s. After that, the composition of the airline's fleet shifted exclusively to Soviet-produced aircraft. Only in 1955 LOT inaugurated services to Moscow, being the centre of the Marxist–Leninist world, and to Vienna. Services to London and Zürich were not re-established until 1958, and to Rome until 1960. Nine Ilyushin Il-18 turboprop airliners were introduced in June 1961, leading to the establishment of routes to Africa and Middle East, and in 1963 LOT expanded its routes to serve Cairo. In the 1970s there were added lines to Baghdad, Beirut, Benghazi, Damascus and Tunis. The Antonov An-24 was delivered from April 1966 (20 used, on domestic routes), followed by the first jet airliners Tupolev Tu-134 in November 1968 (which coincided with the opening of a new international terminal at Warsaw's Okęcie Airport). The Tu-134s were operated on European routes. The Ilyushin Il-62 long range jet airliner inaugurate the first transatlantic routes in the history of Polish air transport to Toronto in 1972 as a charter flight and a regular flight to New York City in 1973. LOT began service on its first Far East destination – Bangkok via Dubai and Bombay in 1977. In 1977 the airline's current livery (despite occasional changes, notably in corporate typography) designed by Roman Duszek and Andrzej Zbrożek, with the large 'LOT' inscription in blue on the front fuselage, and a blue tailplane was introduced, the 1929-designed Tadeusz Gronowski logo, however, despite many changes in livery, was kept through the years, and to this day remains the same. In the Autumn of 1981, commercial air traffic in Poland neared collapse in the wake of the communist government's crackdown on dissenters in the country after the rise of the banned 'trade union' dissident Solidarity movement, and some Western airlines suspended their flights to Warsaw. With 13 December declaration of Martial Law that same year, all LOT Polish Airlines connections were suspended. Charter flights to New York and Chicago resumed only in 1984, and eventually regular flight connections were restored on 28 April 1985. Tupolev Tu-154 mid-range airliners were acquired, after the withdrawal of Il-18 and Tu-134 aircraft from LOT's fleet in the 1980s, and were deployed successively on most European and Middle East routes. In 1986 transatlantic charter flights also reached Detroit and Los Angeles. After the fall of the communist system in Poland in 1989 the fleet shifted back to Western aircraft, beginning with acquisitions of the Boeing 767-200 in April 1989, followed by the Boeing 767-300 in March 1990, ATR 72 in August 1991, Boeing 737-500 in December 1992 and finally the Boeing 737-400 in April 1993. From the mid-1980s to early 1990s LOT flew from Warsaw to Chicago, Edmonton, Montreal, Newark, New York City and Toronto. These routes were primarily inaugurated to serve the large Polish communities (Polonia) present in North America. 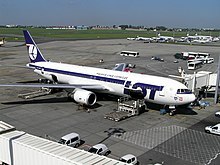 LOT was among the first Central European airlines to operate American aircraft when the Boeing 767 was introduced; the 767s were used to operate LOT's longest-ever connection, to Singapore. By the end of 1989 LOT had achieved much: it had hosted that year's IATA congress and achieved a milestone annual load-factor of 2.3 million passengers carried over the course of the year. LOT's acquisition of long-range Boeing 767 airliners allowed it to reposition itself as a transit airline. In 1990 LOT's third Boeing 767-300 landed at Warsaw Chopin Airport and not long after Boeing 737 and ATR 72 aircraft were acquired for use on LOT's expanded route network, which began to include new international destinations such as Kiev, Lviv, Minsk and Vilnius. 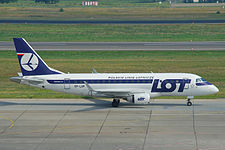 Soon thereafter, in 1993, LOT began to expand its Western-European operations, inaugurating, in quick succession, flights to Oslo, Frankfurt and Düsseldorf; operations at Poland's other regional airports outside Warsaw were also duly expanded around this time. By December 1992 the airline became a joint stock company, as a transitional step towards partial privatisation, which was effected in late 1999, with ownership then allocated thusly: State Treasury – 67.97% of shares in the company; Regionalny Fundusz Gospodarczy S.A. – 25.1%; the employees – 6.93%. In 1994 the airline signed a codesharing agreement with American Airlines on flights to and from Warsaw as well as onward flights in the United States and Poland operated by both companies; flights to Thessaloniki, Zagreb and Nice were inaugurated, and according to an IATA report, in this year LOT had the youngest fleet of any airline in the world. After years of planning, in 1997 LOT set up a sister airline, EuroLOT, which, essentially operating as its parent airline's regional subsidiary, took over domestic flights. The airline was developed with the hope that it would increase transit passenger-flow through Warsaw's Chopin Airport, whilst at the same time providing capacity on routes with smaller load factors and play a part in developing LOT's reputation as the largest transit airline in Central and Eastern Europe. By 1999 LOT had purchased a number of small Embraer 145 regional jets in order to expand its short-haul fleet, and had, with the approval of the Minister of the State Treasury, begun a process of selling shares to the Swiss company SAirGroup Holding, this then led to the airline's incorporation into the then-nascent Qualiflyer Group. LOT became the eleventh full member of Star Alliance in 2003. Expansion of LOT's route network continued in the early 2000s and the potential of the airline's hub at Warsaw Chopin Airport to become a major transit airport was realised with more and more success. 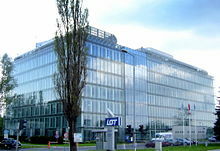 In 2000 LOT took delivery of its largest ever order of 11 aircraft and by 2001 had reached a milestone passengers-carried figure of 3 million customers in one year; such an expansion led to the reconstruction of much of LOT's ground infrastructure, and by 2002 a new central Warsaw head office was opened on Ul. 17 Stycznia. On 26 October 2003, LOT, after the collapse of the Qualiflyer Group, became the 14th member of the Star Alliance. By 2006 a new base of operations, with the reconstruction of Warsaw Chopin Airport, had opened, thus allowing LOT's full transit airline potential to be developed for the first time ever. The new airport is much larger than any previous airport in Poland. In that same year Pope Benedict XVI returned to Rome on a LOT flight following his pilgrimage to Poland. LOT created low-cost arm Centralwings in 2004, however, the company was dissolved and reincorporated into LOT after just five years of operating due to its long-term unprofitability and LOT's wish to redeploy aircraft within its own fleet. In 2008 LOT opened a new flight to Beijing, however this lasted just a month, in the period prior to the Olympics. The reason for failure to continue this service was given as the need to route aircraft via an air corridor to the south of Kazakhstan (as LOT did not have permission for flights over Siberia from the Russian government) which was making the services too long and thus unprofitable. LOT started new services to Yerevan, Armenia, Beirut, Lebanon and resumed Tallinn, Estonia, Kaliningrad, Russia, Gothenburg, Sweden and Bratislava, Slovakia with its newly acquired Embraer aircraft in summer 2010, and in October of the same year LOT resumed service to Asia, with three weekly flights on the Warsaw – Hanoi route. In addition to this, new services to Tbilisi, Damascus and Cairo were inaugurated. LOT celebrated the 80th anniversary of its foundation in 2009. The event was marked by the application of a gold livery to one of the airline's Boeing 737s. In 2010 LOT cancelled flights, after 14 years of operation, between Kraków and the US destinations of Chicago and New York, citing profitability concerns and lack of demand. The last US-Kraków flight departed on 27 October 2010 from Chicago O'Hare. The aircraft previously used on this route were then re-deployed to serve LOT's Warsaw-Hanoi route. This route to Hanoi (the Vietnamese capital) was largely under-utilised by European carriers and has proved very successful for LOT in the beginning. 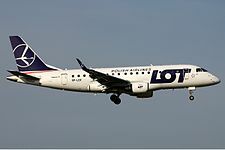 On 31 May 2010, CEO of LOT Sebastian Mikosz stated that the airline will be replacing its fleet to meet a goal of one-third new by 2011. Replacement already started with Embraer E-Jets 175/170. For domestic expanded operations, LOT purchased Dash 8-Q400 over ATR 72-600 aircraft. On 5 February 2011, new CEO of LOT Marcin Piróg announced that the airline was considering, in the near future, to open services to Baku, Sochi, Stuttgart, Oslo, Gothenburg, Dubai, Kuwait and Ostrava from its Warsaw hub. Previously planned flights to Donetsk in Ukraine had already been inaugurated, as had routes to Tokyo and Beijing. This beaome feasible since the finalizing of an agreement on Siberian overflight permits for LOT by the Polish and Russian governments in November 2011. As a result of the new agreement, LOT received new take-off and landing slots at Moscow's Sheremetyevo International Airport. Although delayed from the original plans, LOT began flights to Tokyo on 13 January 2016, with flights three times per week. In 2010/11 LOT also announced its new 'East meets West' route expansion policy, which saw the airline add a number of new Asian destinations to its schedule over the coming years. The policy aimed to take advantage of LOT's perspectives as a transit airline and the substantial passenger growth seen on Europe-Asia flights in recent years. Also, in line with this policy LOT introduced premium economy class on all Boeing 787 aircraft. Additionally lie-flat seats are available in business class and all of the airline's new long-haul aircraft have been fitted with Thales personal entertainment systems. In June 2012 LOT announced all services to New York would be centralized from Newark and JFK Terminal 4 to JFK Terminal 1 from October 2012. It would also enter into a codeshare agreement with JetBlue to increase the number of onward connections available to its customers. In July 2012 it was announced that a planned sale of a major stake in the airline to Turkish Airlines would not go ahead. The main problem was the inability of Turkish Airlines to own a majority stake as it is a Non-European Union company. Amidst a restructuring plan which saw the airline return to profitability for the first time in seven years, a 22 June 2015 press conference revealed details pertaining to the airline's future prospects. These include reinstating routes renounced as part of EU sanctions imposed following Polish government aid granted to ensure the airline's survival, as well as new long haul routes to Asia and North America. As part of the airline's future fleet expansion, an increase may see the carrier operating up to 88 aircraft by 2025. Air Lease Corporation confirmed on October 13, 2016 the placement of six Boeing 737 MAX 8 aircraft with LOT, and options to lease five further aircraft of the same type. Long haul plans will see the addition of further Boeing 787 aircraft, potentially increasing the total to 16 in the near future and 24 by 2025. Currently, the Polish government owns 68% of shares in LOT; Regionalny Fundusz Gospodarczy S.A. owns 25%; and employees own 6.93%. LOT was intended to be privatised in 2011. Although advanced talks were undertaken with Turkish Airlines a deal failed to materialise. This was largely due to the inability of Turkish Airlines, as a non-EU airline, to buy a majority of the airline. LOT lost 145.5 million złote (PLN) in 2011, compared to a 163.1 million PLN loss in 2010. LOT saw a return to profitability in 2016, with profits of 183.5 million and more than 280 million PLN respectively. [clarification needed] The profits led the then finance minister Mateusz Morawiecki to suggest they were a result of his government's policies. He also accused the previous Civic Platform government of leading the airline to either bankruptcy or "accelerated privatisation". LOT Charters, wholly owned subsidiary operating charter flights for Polish tour operators. Nordica, 49% stake owned by LOT. EuroLOT, a formerly wholly owned subsidiary airline, founded on 1 July 1997. The Polish Treasury owned 62.1 percent while LOT retained 37.9 percent. However, it was confirmed in July 2012 that LOT wished to sell its remaining stake in Eurolot, as part of its privatization scheme. However, on 6 February 2015, the decision was taken to liquidate the airline and transfer the majority of its fleet to LOT. Centralwings, a low-cost subsidiary that was operational between 2004 and 2009. In August 2018, the Croatian government proposed that LOT take over Croatia Airlines. The Romanian national airline, TAROM, is also interested in cooperation or merger with LOT. Boeing 737 MAX 8 6 5 – – 186 186 Deliveries scheduled until 2019. Embraer E175 12 — – – 82 82 2 aircraft permanently chartered to the Ministry of National Defense for transporting VIPs. Aero Ae-45 1952 1957 Unknown Three bought, used for taxi flights. Antonov An-26 1974 Unknown Unknown Leased from Polish Air Force. Cessna UC-78 1946 1950 Unknown Fourteen bought from US military surplus after World War II, used for training and taxi flights. On 7 September 2005 the airline ordered seven Boeing 787-8s (with two options and five purchase rights) for its long haul operations. On 19 February 2007 the airline converted one option to make a total of eight 787s on order. On 7 March 2011 Boeing officially notified LOT Polish Airlines that the delivery of the 787 would be delayed for another year. The airline planned to use the 787 on its Warsaw-Chicago route on 16 January 2013, but the type was grounded on that same day due to issues with its batteries. On 25 April 2013, LOT announced that it would resume its 787 service on 5 June 2013. On 4 May 2010, LOT converted four Embraer E-175 orders to Embraer E-195 orders. The delivery of these aircraft began in March 2011. • On 8 June 2010 the Ministry of National Defence of the Republic of Poland leased two E-175 aircraft from LOT in order to transport senior government officials on short/medium haul flights until the end of 2018. • In 2016 the airline signed contracts for eleven leased Boeing 737 MAX 8 aircraft (six firm commitments and five options), with deliveries starting in late 2017. • On 24 April 2018, LOT announced the purchase of three additional Boeing 787-9 aircraft, bringing the total of the -9 variant to seven of the fifteen Boeing 787s expected to be in the fleet by October 2019. With the delivery of new Boeing 787 long-haul aircraft in 2011/12, LOT introduced a new livery. This design was intended to retain the tradition and spirit of LOT with no major or radical changes to the livery applied to the airline's aircraft. The blue nose and broad cheat-line were removed; the 'POLSKIE LINIE LOTNICZE' title on each aircraft's starboard side was replaced with the words 'POLISH AIRLINES'. The tailplane's design was changed only slightly, with the colours of the traditional encircled crane logo being inverted and the circle becoming a more simple outline ring. Several Embraer aircraft have special advertising liveries, while one E-175 was repainted as a retrojet into the 1945 livery that was used with some modifications until the 1970s. Airliners featured all natural metal silvery color, with a black crane logo on the tail, and small black inscription: POLSKIE LINIE LOTNICZE „LOT” under or above window line. Before 1939, there was also a rounded inscription: LOT above passenger doors (apart from Ju 52, which also differed in having black engine covers and nacelles). After World War II, the aircraft mostly wore a similar all natural metal scheme, with the airline name above window line. In the late 1940s, the Polish white and red flag was added on a rudder. From the early 1950s, a thin blue cheatline was introduced below the window line, starting with a stylized bird in front. Some aircraft flew in military schemes (green and light blue or olive drab and grey). This livery featured blue mid-level broad cheatline on the window line, with the fuselage a white color above the cheatline and unpainted below. Early versions of this livery also featured thin blue stripes above and below the cheatline and a white tail, with small black crane logo on the fin and medium-size Polish flag on the rudder. Above the cheatline there was black inscription in italics: POLSKIE LINIE LOTNICZE »LOT«. There was also a long black stylized crane below the cockpit on most aircraft. In early 1960s the scheme was modernized, and featured the blue cheatline without upper and lower stripes, and blue tail fin and rudder. The Polish flag was much larger on the tail, while the crane logo was above the flag, on a white circle. There was also another Polish flag on the cheatline, behind the cockpit. On Il-18s and Il-62s the cheatline was narrower, below the window line. LOT's iconic livery was introduced in 1977 and has undergone no major changes. The livery is essentially a predominantly white scheme with elements of traditional aviation design incorporated. The latter elements were visible in the design of the LOT livery as an area of dark blue under the cockpit windscreen, the long cheat-line painted down the side of the fuselage and the large traditional logo which is emblazoned on the tailplane. Ilyushin Il-62 aircraft were named after famous Polish people, with the first named Mikołaj Kopernik. The five Boeing 767s LOT ordered from Boeing were named after Polish cities. The used and short term leased 767s LOT operated did not get names. This practice was not continued upon arrival of LOT's Boeing 787s and the introduction of the airline's updated livery. Warsaw's LIM Center previously bore large LOT logos on two of its four sides, these being replaced in early 2012. LOT uses Lufthansa's frequent-flyer program, called Miles & More. Miles & More members can earn miles on LOT flights and Star Alliance partner flights, as well as through LOT credit cards and purchases made through LOT Polish Airlines shops. Status within Miles & More is determined by miles flown during one calendar year with specific partners. Membership levels include: Basic (no minimal threshold), Frequent Traveller (Silver, 35,000 mile threshold), Senator (Gold, 100,000 mile threshold), and HON Circle (Black, 600,000 mile threshold over two calendar years). All non-basic Miles & More status levels offer lounge access and executive bonus miles, with the higher levels offering more exclusive benefits. LOT operates, in cooperation with PPL (Polish State Airports), the 'Polonez' Business Lounge at Warsaw Chopin Airport. The lounge is accessible to anyone with a business class ticket for travel with LOT or any other Star Alliance member airline, and those who are members of a Star Alliance 'Gold' loyalty program (such as Miles & More Senator status) or the Polish State Airports authority's 'Good Start' program. Some examples of services offered to passengers include business conferencing facilities, internet access, work space, local, national and foreign-language media (newspapers and television) and individual access to an Apple iPad. LOT also opened a Polonez Lounge at Budapest Ferenc Liszt International Airport in 2018. On 1 December 1936, a LOT Lockheed Model 10 Electra (registered SP-AYB) hit a tree near Malakasa in Greece due to fog; a pilot was killed, six persons were injured. On 28 December 1936, a LOT Lockheed Model 10 Electra (registered SP-AYA) crashed near Susiec in Poland due to icing; two passengers and a mechanic died, three persons were injured. On 11 November 1937, a LOT Lockheed Model 10 Electra (registered SP-AYD) crashed near Warsaw during its landing approach in bad weather; four passengers died. On 23 November 1937, a LOT Douglas DC-2-115D (registered SP-ASJ) crashed in Bulgaria's Pirin Mountains in bad weather, killing all six on board. The aircraft was operating a scheduled Thessaloniki-Sofia passenger service. On 22 July 1938 at 17:38 local time, a LOT Lockheed 14H Super Electra (registered SP-BNG) crashed into a hill at Negrilesa, near Stulpicani, Romania, killing all 14 on board; the cause of the crash was unknown, but the aircraft was probably struck by lightning. The aircraft was operating a scheduled Warsaw-Lwów (now Lviv)-Czerniowce (now Chernovtsy)-Bucharest-Thessaloniki passenger service. On 15 November 1951 at approximately 09:00 local time, a LOT Lisunov Li-2 (registered SP-LKA) crashed near Tuszyn in bad weather and low visibility conditions, killing all 15 passengers and three crew on board. The aircraft had been on a scheduled flight from Łódź to Kraków. One passenger died on 19 March 1954, when a LOT Li-2 (registered SP-LAH) collided with a hill near Gruszowiec following the blackout of a radio navigation beacon. 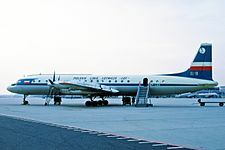 On 14 June 1957 at 23:10 local time, Flight 232 from Warsaw to Moscow, which was operated by using an Ilyushin Il-14 (registered SP-LNF) crashed during approach to Moscow's Vnukovo International Airport in bad weather and visibility conditions, killing five of the eight passengers and four of the five crew members. On 25 August 1960, a LOT Li-2 (registered SP-LAL) crashed near Tczew while on a survey flight over the Vistula River floods, killing six. On 19 December 1962, a LOT Vickers Viscount 804 (registered SP-LVB) crashed while on approach to Warsaw-Okecie Airport after having encountered a stall situation, killing all 28 passengers and five crew members on board. The aircraft had been on a scheduled flight from Brussels to Warsaw with an intermediate stop at East Berlin. On 20 August 1965 at 13:08 UTC, another LOT Vickers Viscount (registered SP-LVA) crashed near Jeuk, Belgium, during a thunderstorm on a ferry flight from Lille in France to Wrocław. The four people in the aircraft were killed. On 2 April 1969 at 16:08 local time, a LOT Antonov An-24W (registered SP-LTF), crashed into Polica, a mountain near Zawoja. The aircraft with 48 passengers and five crew on board had been operating Flight 165 from Warsaw to Kraków when the pilots lost orientation because of a snowstorm. There were no survivors. On 13 May 1977, a LOT Antonov An-12 (registered SP-LZA) operating a cargo flight from Warsaw to Beirut via Varna crashed at approximately 08:45 local time near Aramoun, Lebanon, killing all nine people on board, some of whom were agents of the communist Polish secret service. The aircraft had been approaching Beirut International Airport, but the pilots had encountered language difficulties when communicating with the local air traffic controllers. The aircraft was the property of the Polish Air Force and was flown by military pilots and had previously transported weapons for the Lebanese Civil War, when it crashed it was carrying a cargo of veal. On 14 March 1980 at around 11:00 local time, LOT Flight 7 from New York City to Warsaw crashed during a landing attempt at Warsaw-Okecie Airport, killing all 77 passengers and 10 crew members on board the Ilyushin Il-62 (registration SP-LAA), including singer Anna Jantar. The pilots had encountered a landing gear problem and began the standard go-around procedure, during which a shaft in the no. 2 engine disintegrated, damaging the rudder and elevator control lines, and causing the aircraft to enter an uncontrolled dive. On 26 March 1981, a LOT An-24 (registered SP-LTU) crash-landed near Słupsk after the crew lost situational awareness during a non-precision twin locator approach, killing one passenger. The other 46 passengers and four crew survived, leaving the aircraft through a breach in the fuselage. The only person who died in a post-crash fire had his legs trapped under broken seats. On 9 May 1987 at 11:12 local time, LOT Flight 5055, bound from Warsaw to New York, crashed in the Kabaty forest about 5 km from the Warsaw-Okęcie Airport, killing all 172 passengers and 11 crew, making it the deadliest accident in the history of the airline and the country. The aircraft involved was another Ilyushin Il-62 (registration SP-LBG) whose number-2 (left-side inner) engine exploded, igniting a fire in the cargo hold and irreparably damaging all but one of the aircraft's control systems. The pilots attempted a return to Warsaw-Okecie Airport, but lost control of the aircraft before it entered a steep nose-dive due to damage to the elevators). On 2 November 1988, LOT Flight 703 had to execute an emergency landing on a field near Rzeszów following an engine failure, killing one passenger. The other 24 passengers and four crew on board the An-24 (registered SP-LTD) survived, though most of them received serious injuries. On 18 August 1938, a LOT Lockheed 14H Super Electra (registered SP-BNJ) was destroyed by a fire in Bucharest, after one of its tires burst and the left wing struck the ground. On 24 July 1940, a LOT Lockheed 14H2 Super Electra (registered SP-BPK) was deliberately crashed at Bucharest; the aircraft was sold to LOT on 20 March 1939 and seized by Romania on 2 September 1939 at the outbreak of World War II. On 26 May 1948, a LOT Lisunov Li-2T (registered SP-LBC) was written off near Popowice. On 28 March 1950, a LOT Douglas DC-3 (registered SP-LCC) was damaged beyond repair in a crash landing. Only one day later, on 29 March 1950, the airline lost another aircraft (a Lisunov Li-2, registration SP-LBA) in a crash. On 19 May 1952, a LOT Li-2 (registered SP-LBD) was damaged beyond repair in a crash landing near Sowina. On 18 July of the same year, an Ilyushin Il-12 (registered SP-LHC) was written off in crash landing at Warsaw-Okecie Airport. 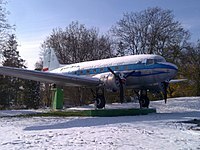 On 15 March 1953, a LOT Douglas DC-3 (registered SP-LCH) crashed near Katowice. On 14 April 1955, a Lisunov Li-2 (SP-LAE) crashed near Katowice, with none of the 15 persons on board being killed. On 11 April 1958, a LOT Convair CV-240 (registered SP-LPB) crash-landed near Warsaw and was damaged beyond repair, after it had lost one propeller in mid-flight. There were only four people on board who had operated a training flight with the aircraft; all of them survived. On 16 December 1963, a Lisunov Li-2T (registered SP-LBG) was damaged beyond repair when it overshot the runway on landing at Warsaw-Okecie Airport. The twelve passengers and three crew on board survived. On 24 January 1969 at 17:30 local time, a LOT Antonov An-24 (registered SP-LTE) collided with trees during a landing attempt at Wrocław in poor visibility conditions, and crashed. The aircraft had been operating Flight 149 from Warsaw with 44 passengers and four crew members on board, all of whom survived. On 19 April 1973, an Antonov An-24 (registered SP-LTN) crashed during a training flight near Rzeszów. On 23 January 1980, a Tupolev Tu-134 (registered SP-LGB) was damaged beyond repair when it overshot the runway on landing at Warsaw-Okecie Airport and erupted in flames. On 31 December 1993 at 10:20 local time, a Boeing 767-300ER (registered SP-LPA) operating Flight 2 from Warsaw to Chicago received substantial damage to its nose gear in a hard landing incident at O'Hare International Airport. On 1 November 2011 a Boeing 767-300ER (registered SP-LPC) operating as Flight 16 from Newark Liberty International Airport to Warsaw Chopin Airport reported the failure of the hydraulic system that operated the flaps and landing gear. When the backup system was activated, only the flaps were operable. All attempts to lower the landing gear failed, including one last attempt using gravity; forcing a belly landing on runway 33 at Warsaw Chopin, which is rare for modern jetliners. The aircraft, captained by Tadeusz Wrona, managed to make a successful gear-up landing with no injuries or fatalities. The aircraft was written off. During the Cold War, when Europe was divided by the Iron Curtain, several LOT aircraft were hijacked and forced to land in a Western country, predominantly in Germany and especially in West Berlin, because of it being situated like an island in the Eastern Bloc. The hijackers were usually not prosecuted there, but could claim political asylum, along with all other passengers who wished to do so. On 16 September 1949, five armed people forced a LOT flight from Gdańsk to Łódź to divert to Nyköping in Sweden. On 16 December of the same year, another aircraft on the same route was hijacked, this time it diverted to Bornholm Airport in Denmark. Of the 15 passengers and three crew members on board, 16 decided to claim political asylum. On 16 October 1969, a LOT Antonov An-24 (registered SP-LTK) was hijacked by two passengers en route a flight from Warsaw to East Berlin and forced to divert to Berlin Tegel Airport, serving West Berlin. Another hijacking of a LOT An-24 occurred on 20 November of the same year, this time on a flight from Wrocław to Bratislava, when two passengers forced the pilots to land at Vienna International Airport. On 5 June 1970, a LOT An-24 with 24 people on board was hijacked during a flight from Szczecin to Gdańsk and forced to land at Copenhagen Airport in Denmark, where police forces stormed the aircraft and arrested the perpetrator. On 9 June 1970, another hijacking attempt occurred on a LOT flight from Katowice to Warsaw, but the two persons involved were overpowered. On 7 August 1970, one passenger on board a LOT An-24 flying from Szczecin to Katowice forced the pilots to divert to Germany. As he did not specify his demands any further, the aircraft landed at Berlin Schönefeld Airport in East Germany, where he was arrested. On 19 August 1970, five passengers on board a LOT Ilyushin Il-14 en route a scheduled flight from Gdańsk to Warsaw forced the pilots to divert to Bornholm Airport in Denmark. On 26 August 1970, three persons on board a LOT An-24 on a flight from Katowice to Warsaw demanded to be taken to Austria. The pilots returned the aircraft to Katowice Airport instead, where the perpetrators were arrested. On 4 November 1976, a LOT Tupolev Tu-134 (registered SP-LHD) was forced by two passengers to leave its scheduled route from Copenhagen to Warsaw and land at Vienna International Airport instead, where they surrendered to local police forces. On 24 April 1977 another LOT Tu-134 (registered SP-LGA) was hijacked, this time on a flight from Kraków to Nuremberg in West Germany. The pilots returned to Kraków-Balice Airport, where the aircraft was stormed and the hijacker arrested. Another hijacking attempt was suppressed on 18 October 1977 on board a LOT An-24 (registered SP-LTH) en route from Katowice to Warsaw. On 30 August 1978, Flight 165 en route from Gdańsk to East Berlin was hijacked by two East German citizens who forced the pilots to land the Tu-134 involved (registered SP-LGC) at Berlin Tempelhof Airport in West Berlin. Apart from the hijackers, another six people decided to claim political asylum, thus making it one of the largest successful escapes over the Berlin Wall. On 4 December 1980, a LOT An-24 (registered SP-LTB) was hijacked during a flight from Zielona Góra to Warsaw and forced to land at Berlin-Tegel Airport. SP-LTB was involved in another hijacking attempt on 10 January 1981, when four passengers demanded to be taken to a Western country during a flight from Katowice to Warsaw. This time, the pilots continued to Warsaw-Okecie Airport, though, where the perpetrators were arrested. An Antonov An-24 (registered SP-LTI) was forced to land at Tempelhof Airport in West Berlin on 21 July 1981, after having been hijacked during a flight from Katowice to Gdańsk. On 5 August 1981, another hijacking attempt occurred on board SP-LTI while it was flying from Katowice to Gdańsk, but the perpetrator was restrained and arrested upon landing at Gdańsk Airport. On 11 August, another hijacking attempt on the Katowice to Gdańsk route was foiled, again on an Antonov An-24 (registered SP-LTT). On 22 August 1981, a hijacker succeeded in his demands that the aircraft involved (an An-24 registered SP-LTC) be diverted to West Berlin's Tegel Airport from its original route from Wrocław to Warsaw. On 18 September 1981 twelve passengers rioted on board an Antonov An-24 (registered SP-LTG) on a flight from Katowice to Warsaw and demanded the aircraft be diverted to West Berlin. A Mil Mi-8 helicopter of the Soviet military tried to intercept the aircraft before landing at Tegel Airport, but failed to do so. On 22 September four passengers tried to hijack a LOT flight from Warsaw to Koszalin, but the pilots returned the An-24 (registered SP-LTK) to Warsaw-Okecie Airport instead, where the perpetrators were arrested. A week later on 29 September 1981, one hijacker demanded an Antonov An-12 (registered SP-LTP) on a flight from Warsaw to Szczecin be diverted to West Berlin; again the pilots landed the aircraft in Warsaw. On 30 April 1982, eight passengers forced a LOT An-24 (registered SP-LTG), that was operating a flight from Wrocław to Warsaw, to divert to Berlin-Tegel Airport. On 9 June 1982, two hijackers on board a LOT flight from Katowice to Warsaw demanded the pilots to divert to West Germany. Instead, the aircraft landed in Poland and the perpetrators were arrested. On 25 August 1982, two passengers forced the LOT flight from Budapest to Warsaw, that was operated using an Ilyushin Il-18 (registered SP-LSI) to divert to Munich Riem Airport. On 22 November 1982 the flight from Wrocław to Warsaw (operated by an An-24 registered SP-LTK) was forced to land at Berlin-Tempelhof Airport. On 25 February 1993, a man forced his way into a LOT ATR 72 (registered SP-LFA) at Rzeszów-Jasionka Airport during the boarding process for Flight 702 to Warsaw, threatening to detonate a hand grenade. Police special forces stormed the aircraft in which there was a total number 30 of people at the time of the assault. The perpetrator (who proved to be unarmed) was shot at and overpowered. ^ a b c d "History". lot.com. Retrieved 31 January 2018. ^ Liiva, Siiri (18 November 2016). "Nordica lennukipark täieneb ajutiselt ühe LOTi lennukiga". Postimees Majandus (in Estonian). Postimees. Retrieved 19 November 2016. ^ "History 2000-2009". LOT Polish Airlines. Retrieved 9 July 2010. ^ "Wyniki finansowe PLL LOT S.A."
^ "Analiza za rok 2017". ^ "Behance". Retrieved 6 November 2016. ^ "LOT Polish Airlines - Star Alliance". Retrieved 24 April 2015. ^ "LOT Polish Airlines Eyes Up-Gauge to 737 MAX and A320neo and Touts 787 Improvement". Airchive. Retrieved 24 April 2015. ^ "LOT Polish Airlines - book cheap flights and airline tickets on-line". Lot.com. Retrieved 14 March 2012. ^ "LOT bardzo szybko wychodzi na prostą - Wiadomości - Biznes w INTERIA.PL - giełda, notowania GPW, kursy walut, podatki, firma, biznes, rynek walut, spółka, podatek, GPW". Biznes.interia.pl. 16 November 2011. Retrieved 14 March 2012. ^ "LOT rezygnuje z połączeń atlantyckich - Finanse - WP.PL". Finanse. Retrieved 30 October 2011. ^ "LOT: Zgoda na loty nad Syberią". Pasazer.com. Retrieved 14 March 2012. ^ "LOT Polish Airlines to start Warsaw-Tokyo flights in January". japantimes.co.jp. 19 June 2015. Retrieved 21 June 2015. ^ "LOT pursues new 'east meets west' strategy ahead of 1H2012 privatisation | CAPA". Centreforaviation.com. Retrieved 14 March 2012. ^ "LOT Polish Airlines - Airline Tickets - lot.com". LOT.com. Retrieved 24 April 2015. ^ "LOT plans third quarter 2011 privatisation". Retrieved 18 October 2010. ^ "PLL LOT coraz więcej zarabia na przewozie pasażerów". Retrieved 5 April 2018. ^ "PLL LOT odzyskują rentowność. Przetrwały tylko dzięki PiS?". Retrieved 5 April 2018. ^ "LOT chce sprzedać Eurolot". Pasazer.com. Retrieved 24 April 2015. ^ "Profile on LOT Polish Airlines". CAPA. Centre for Aviation. Archived from the original on 1 November 2016. Retrieved 1 November 2016. ^ Liu, Jim (28 November 2018). "LOT Polish Airlines plans Taipei codeshare service from late-Nov 2018". Routesonline. Retrieved 28 November 2018. ^ "Fleet". planespotters. Retrieved 26 May 2017. ^ "Seat Map LOT Polish Airlines Boeing 787-8". Retrieved 1 March 2017. ^ "Seat Map LOT Polish Airlines Embraer ERJ-170 (E70)". Retrieved 1 March 2017. ^ "Seat Map LOT Polish Airlines Embraer ERJ-175". Retrieved 1 March 2017. ^ "Seat Map LOT Polish Airlines Embraer ERJ-195". Retrieved 1 March 2017. ^ "and LOT Polish Airlines Announce Order for Up to 14 787s". Boeing. 7 September 2005. Archived from the original on 6 November 2011. Retrieved 30 October 2011. ^ "and LOT Polish Airlines Finalize Order for One Additional 787 Dreamliner". Boeing. 19 February 2007. Archived from the original on 11 January 2012. Retrieved 30 October 2011. ^ "LOT Announces Launch Dates For New Dreamliner Service". Yahoo Finance. 17 September 2012. ^ "LOT's Dreamliners to fly again in June". Warsaw Business Journal. 26 April 2013. ^ www.air-europa.pl. "Boeing 787 Dreamliner i nowe barwy LOT | Europejski Informator Lotniczy =>". Air-Europa.pl. Retrieved 14 March 2012. ^ "LOT Polish Airlines". Lot.com. Retrieved 14 March 2012. ^ Accident description for SP-ASJ at the Aviation Safety Network. Retrieved on 13 July 2015. ^ Accident description for SP-BNG at the Aviation Safety Network. Retrieved on 13 July 2015. ^ "Aviation Safety Network, 1951 LOT crash". Aviation Safety Network. ^ "Aviation Safety Network, 1954 LOT crash". Aviation Safety Network. ^ "Aviation Safety Network, 1957 LOT crash". Aviation Safety Network. ^ "Aviation Safety Network, crash of aircraft registration: SP-LAL". Aviation Safety Network. ^ "Aviation Safety Network, crash of aircraft registration: SP-LVB". Aviation Safety Network. ^ "Aviation Safety Network, crash of aircraft registration: SP-LTF". ^ "Article covering the 1977 crash" (in Polish). Newsweek.pl. Retrieved 30 October 2011. ^ "Aviation Safety Network, 1977 LOT crash". ^ "Aviation Sefety Network, crash of aircraft registration: SP-LAA". ^ "Aviation Safety Network, 1981 LOT crash-landing". Aviation Safety Network. ^ "Aviation Safety Network, crash of aircraft registration: SP-LBG". ^ "Aviation Safety Network, crash of aircraft registration: SP-LTD". ^ Accident description for SP-BPK at the Aviation Safety Network. Retrieved on 13 July 2015. ^ "Aviation Safety Network, crash of aircraft registration: SP-LBC". Aviation Safety Network. ^ "Aviation Safety Network, crash of aircraft registration: SP-LCC". Aviation Safety Network. ^ "Aviation Safety Network, crash of aircraft registration: SP-LBA". Aviation Safety Network. ^ "Aviation Safety Network, crash of aircraft registration: SP-LBD". Aviation Safety Network. ^ "Aviation Safety Network, crash of aircraft registration: SP-LHC". Aviation Safety Network. ^ "Aviation Safety Network, crash of aircraft registration: SP-LCH". Aviation Safety Network. ^ "Aviation Safety Network, crash of aircraft registration: SP-LAE". Aviation Safety Network. ^ "Aviation Safety Network, crash of aircraft registration: SP-LBG". Aviation Safety Network. ^ "Aviation Safety Network, crash of aircraft registration: SP-LTE". Aviation Safety Network. ^ "Aviation Safety Network, crash of aircraft registration: SP-LTN". Aviation Safety Network. ^ "Aviation Safety Network, 1993 Chicago incident". Aviation Safety Network. ^ a b Dan Michaels and Andy Pasztor (1 November 2011). "Plane Makes Crash Landing in Poland". Wall Street Journal. ^ Gabriela Baczynska, Marcin Goclowski and Rob Strybel (1 November 2011). "Plane carrying 230 makes emergency landing in Warsaw". Reuters. ^ "Aviation Safety Network, LOT September 1949 hijacking". Aviation Safety Network. ^ "Aviation Safety Network, LOT December 1949 hijacking". Aviation Safety Network. ^ "Aviation Safety Network, LOT October 1969 hijacking". Aviation Safety Network. ^ "Aviation Safety Network, LOT November 1969 hijacking". Aviation Safety Network. ^ "Aviation Safety Network, LOT 4 June 1970 hijacking". Aviation Safety Network. ^ "Aviation Safety Network, LOT 9 June 1970 hijacking". Aviation Safety Network. ^ "Aviation Safety Network, LOT 7 August 1970 hijacking". Aviation Safety Network. ^ "Aviation Safety Network, LOT 19 August 1970 hijacking". Aviation Safety Network. ^ "Aviation Safety Network, LOT 26 August 1970 hijacking". Aviation Safety Network. ^ "Aviation Safety Network, LOT 1976 hijacking". Aviation Safety Network. ^ "Aviation Safety Network, LOT April 1977 hijacking". Aviation Safety Network. ^ "Aviation Safety Network, LOT October 1977 hijacking". Aviation Safety Network. ^ "Aviation Safety Network, LOT Flight 165 hijacking". Aviation Safety Network. ^ "Aviation Safety Network, LOT 1980 hijacking". Aviation Safety Network. ^ "Aviation Safety Network, January 1981 hijacking". Aviation Safety Network. ^ "Aviation Safety Network, July 1981 hijacking". Aviation Safety Network. ^ "Aviation Safety Network, 5 August 1981 hijacking". Aviation Safety Network. ^ "Aviation Safety Network, 11 August 1981 hijacking". Aviation Safety Network. ^ "Aviation Safety Network, 22 August 1981 hijacking". Aviation Safety Network. ^ "Aviation Safety Network, 18 September 1981 hijacking". Aviation Safety Network. ^ "Aviation Safety Network, 22 September 1981 hijacking". Aviation Safety Network. ^ "Aviation Safety Network, 29 September 1981 hijacking". Aviation Safety Network. ^ "Aviation Safety Network, April 1982 hijacking". Aviation Safety Network. ^ "Aviation Safety Network, June 1982 hijacking". Aviation Safety Network. ^ "Aviation Safety Network, November 1982 hijacking". Aviation Safety Network. ^ "Aviation Safety Network, 1993 hijacking". Aviation Safety Network. Endres, Günter G. (January 1973). "Airline History No. 29: LOT—Polish Airlines". Air Pictorial. Vol. 35 no. 1. pp. 22–28. Jońca, Adam (1985). Samoloty linii lotniczych 1919-1930 [Aircraft of airlines 1919-1930]. Barwa w lotnictwie polskim (in Polish). nr. 2. Warsaw: Wydawnictwa Komunikacji i Łączności. ISBN 83-206-0485-0. Jońca, Adam (1985). Samoloty linii lotniczych 1931-1939 [Aircraft of airlines 1931-1939]. Barwa w lotnictwie polskim (in Polish). nr. 3. Warsaw: Wydawnictwa Komunikacji i Łączności. ISBN 83-206-0504-0. Jońca, Adam (1985). Samoloty linii lotniczych 1945-1956 [Aircraft of airlines 1945-1956]. Barwa w lotnictwie polskim (in Polish). nr. 4. Warsaw: Wydawnictwa Komunikacji i Łączności. ISBN 83-206-0529-6. Jońca, Adam (1986). Samoloty linii lotniczych 1957-1981 [Aircraft of airlines 1957-1981]. Barwa w lotnictwie polskim (in Polish). nr. 5. Warsaw: Wydawnictwa Komunikacji i Łączności. ISBN 83-206-0530-X. Mazur, Wojciech (2016). Samoloty komunikacyjne PLL LOT. Wielki leksykon uzbrojenia. Wrzesień 1939 (in Polish). tom 81. Warsaw: Edipresse Polska. ISBN 978-83-7945-055-8.